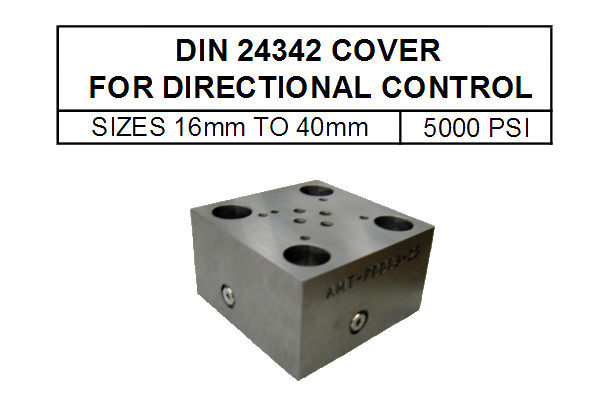 AMT-PDD03-** | Almo Manifold & Tool Co.
Can be used as a dump valve by Connecting ‘X’ to the ‘B’ port (side of insert) & connecting ‘Y’ to drain. 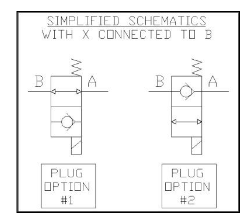 The diagrams to the right show the two different plug options. 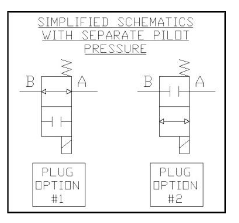 Plug option #1 will allow the valve to dump in the de-energized state & Plug option #2 will allow the valve to dump in the energized state. 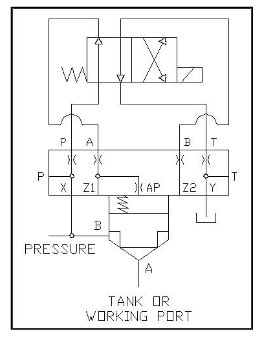 Note: If port ‘A’ is connected to a working port, then connecting ‘X’ to the ‘B’ port as shown above does not prevent pressure at A from overcoming the forces acting to keep the valve closed. 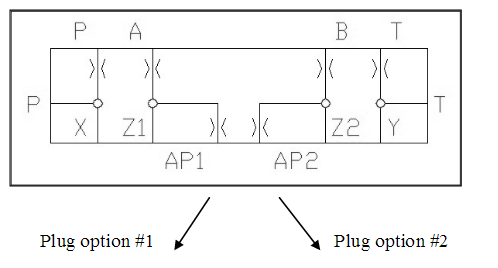 Flow could occur from A to B. 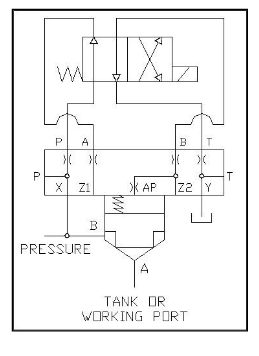 To prevent this use a separate pilot pressure for X. 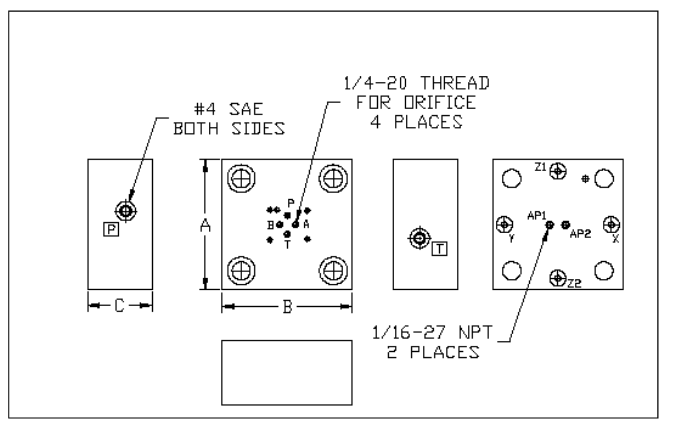 Only one orifice installed in ‘P’ port of D03 interface. Other orifices are optional.